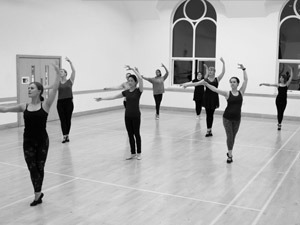 We’re thrilled to offer a host of Adult Ballet Classes in Reigate which offer a great experience of ballet for all abilities taught by Anna who trained at Elmhurst Ballet School and has more than 15 years experience in teaching ballet. These classes are for all ages and experience levels, please do come along and see what it is all about, we’ve got a lovely bunch who join us each week on a Tuesday evening and a Friday lunchtime! Both our Adult Ballet and Ballet Fit classes are filled with a whole host of wonderful people. From all dancing and non-dancing backgrounds looking to find an enjoyable and inspiring class which will both challenge and stretch themselves physically and mentally. Whether it is working on a technical piece of dance work or memorising a series of steps in a routine, Ballet is a form of dance that tests a multitude of cognitive functions and we here at Star Steppers want to ensure this is done in a fun and relaxed environment. We're here to challenge the stereotypical strict ballet teacher approach and welcome you warmly and guide you with positivity and praise. 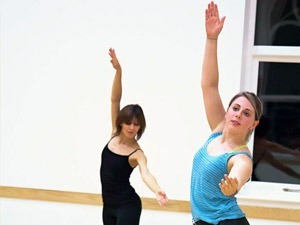 Want to Try our Adult Ballet Class for Free? Simply fill in your details and we'll be in touch! Our Adult Ballet class is a thriving community of mixed ages, abilities and experiences of ballet. Laughter, a feeling of achievement and accomplishment is never not a key part of this weekly class. The class starts with a postural warm up to wake up and promote the health of your spine and feet. We then take to the barre (no wine served here! ), where you will learn and undertake a series of core technical exercise that strengthen, tone and increase your flexibility involving all areas of the body. We then move onto centre practice where you will challenge the body in a safe environment and within your own physical capabilities. such as turns, jumps, adage and port de bras. The grand finale is always super fun and you will feel like a true prima ballerina leaping through the air and spinning to stardom! The class concludes with a holistic cool down stretching and strengthening key areas of the body. This class is for ladies and gents who want to have fun, challenge oneself and dig out those dusty ballet shoes and dance again! This class is up tempo, and works key muscle groups in a focused and intensive way. If you want to strengthen and tone your abdominals, legs, bottom, arms and improve cardiovascular health and flexibility this is the class for you! A carefully and specially designed class based on the fundamentals of ballet and pilates that truly gives your body a total workout and value for money. Warning! The body will feel totally worked, toned and 100% awesome!!! Anna always creates fun, relaxed but challenging classes. She is a real joy to learn from, as you can see the love she has for dance in her every movement. She has not only supported me to a level of ballet that that I never thought it possible for me to reach, but she has also helped me develop my self-confidence and self-worth. I feel very lucky to have Anna in my life and her ballet classes are the highlight of my week. I love coming to adult ballet class. I never did ballet when I was young so thank you for being so welcoming and patient. I have learnt so much. I loved participating in the shows at the Harlequin. I hope you will still be running classes for us when we have white hair!! Anna’s adult ballet class is the highlight of my week. Anna is an amazing teacher who makes us believe in ourselves and gives us the confidence to extend ourselves beyond our comfort zones. This is achieved in a class that’s always relaxed and fun, with a great group of people who have become good friends. I’ve learnt so much and can feel huge improvements in my own core strength, balance and coordination. It’s an hour of pure escapism and enjoyment each week and I just love it! I love Anna’s adult ballet class as not only is it great exercise but also great fun as well! I always feel relaxed and energised after the class no matter what has happened during the day at work - the highlight of my week! You are always made to feel very welcome, you can participate at your own level and you leave feeling uplifted. I really enjoy Anna's classes as she makes them interesting and varied, and designed to make us all stronger. I think we are very lucky to have Anna teaching us. 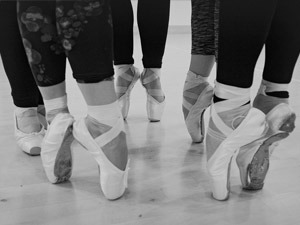 We've put together some frequently asked questions about our Adult Ballet Classes from "what if I've never done ballet before" to "do I need ballet shoes"
There is a FREE trial class for all so you’ll be able to get a feel for what the class is all about and see if you enjoy participating in it as much as we enjoy teaching it. After that the class is £45 for a 6-week block, they don’t have to be used all in one go, which is perfect if you need to skip a week or two. I’ve never done ballet before, can I still attend? Yes, of course, we have dancers of all abilities and the class is meant to be suitable for all abilities, whether you’ve danced for years or this is your first try, you will be very welcome in this class. Do any men attend the classes? Yes, we do have some men who occasionally the class and they’re obviously very welcome. 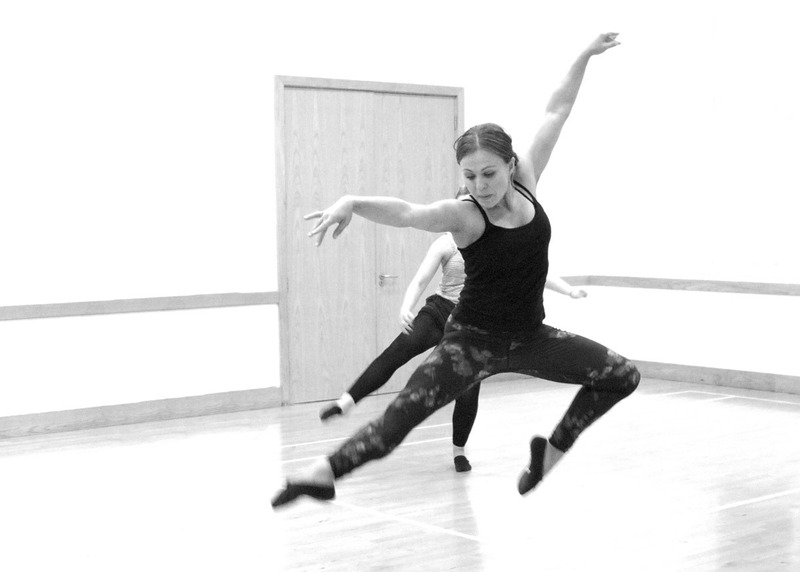 We work through a variety of ballet exercises that will look to test both a beginner and seasoned dancer alike. Everything is done at your own pace so you can take it as easy / slow as you like. 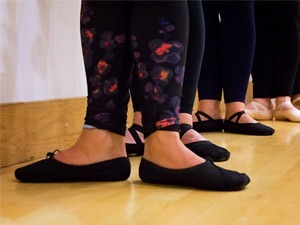 Star Steppers created our Adult Ballet class in Reigate as a result of requests from Star Steppers parents who wanted to enjoy a bit of dancing and exercise that their children enjoy every week via our classes. The class has gone from strength to strength with the class performing as part of the Star Steppers Big Show in 2016 and 2018 at The Harlequin Theatre. We were approached by Sweaty Betty in Reigate to run a ballet inspired exercise class and we were thrilled to create such a unique fitness class which was different to what else was on offer locally. For starters, Anna, was able to pull out some of her favourite dance tracks and bring an Ibiza flavour to Friday lunchtimes. Expect extreme strengthening exercises focusing on the core, arms, inner thighs and bottom. These are simple and effective exercises that are easy to follow and can be done to your own level. The class is now located at Yoga Ananda Studio in Albert Road North, just a short walk from Reigate High Street, with free parking available. The space is light and airy and also has mirrors which will help our class to observe their posture and alignment and work to their full potential. These classes are taught by Anna. Does our Adult Ballet Class sound like fun?